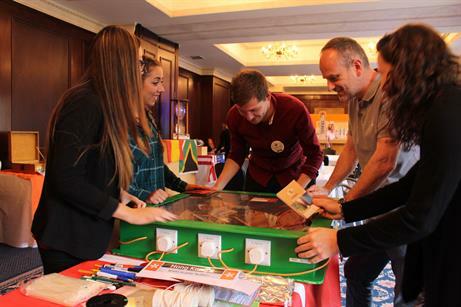 This week saw Algarve's Pine Cliff's Resort host a pop-up at Canary Wharf, Hard Rock Hotel Tenerife welcome guests at Ice Tank, London and Bluehat's offsite teambuilding event at Down Hall. 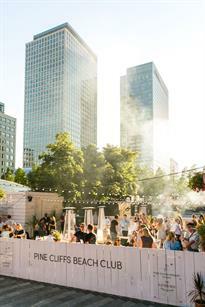 To celebrate the completion of The Luxury Collection's Pine Cliffs Resort's £40m renovation, The Algarve property chose to give Londoners a taste of what can be expected, with the unveliing of a chic pop-up in the heart of Canary Wharf. Members of the press were invited to the 'Pine Cliffs Beach Club' on a scorching Tuesday evening (19 July) to get a taste of the property's new look, while sampling a range of Portuguese wines and the hotel's signature white port cocktails. Pine Cliffs Resort, part of Starwood Hotels & Resorts' luxury profolio, reopened after the 18-month renovation earlier this month. The refurbishment stretched to all corners of the 217-room property and included the development of the all-new Pine Cliffs Ocean Suites. 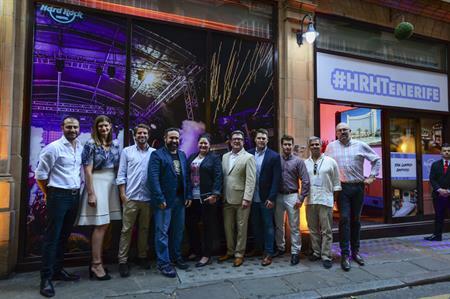 On Wednesday (20 July) Hard Rock International welcomed guests to Ice Tank, London, to announce Hard Rock Hotel Tenerife's launch date of October and detail the property's Grand Opening Party on 10 December. 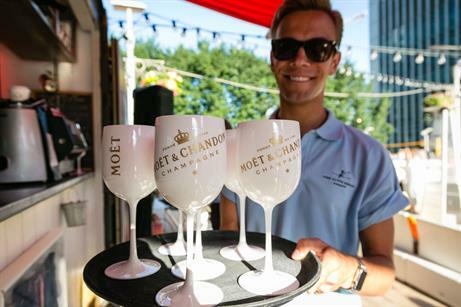 The Ice Tank party featured traditional Canarian canapés, imaginative cocktails, and in true Hard Rock style, a range of music and brand immersions. Stations throughout the venue included Fender guitars, professional DJ mixing lessons and spa demos. The 624-room property is the group’s second project with hotel operators Palladium Hotel Group, which opened the Hard Rock Hotel Ibiza in May 2014, the first Hard Rock Hotel in Europe. The 14-strong sales team from Bluehat spent a day at one of its partner venues to experience the agency’s event of the month. The team travelled to Down Hall hotel in Hatfield Heath earlier this month to try out Eden, a product it offers corporate clients, ahead of an afternoon strategy meeting. Eden is a game, designed to draw parallels to the business world and corporate social responsibility, which requires players to focus on the task in hand while also keeping an eye on the bigger picture. Teams compete to build the largest sustainable community and gain resources for this by completing social, ecological and cultural tasks.